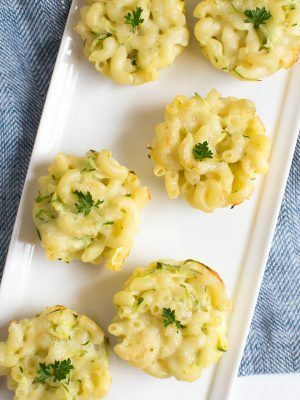 Zucchini Mac and Cheese Bites are a great way to pack fresh zucchini into a fun and delicious meal! 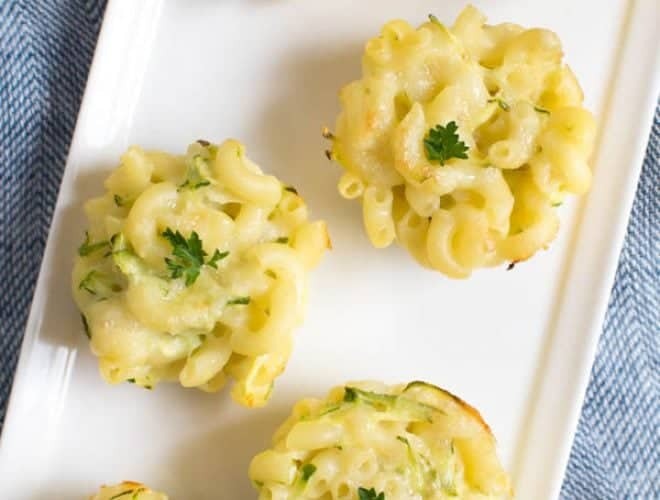 Made with only a few ingredients, kids and adults will love these little macaroni and cheese bites. Everyone loves macaroni and cheese! 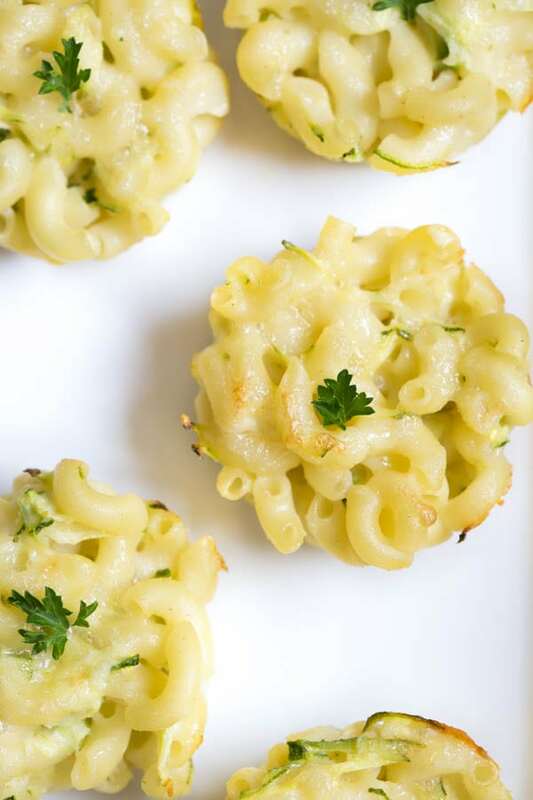 Sneak more nutrients into mac and cheese by adding your favorite summer veggies. 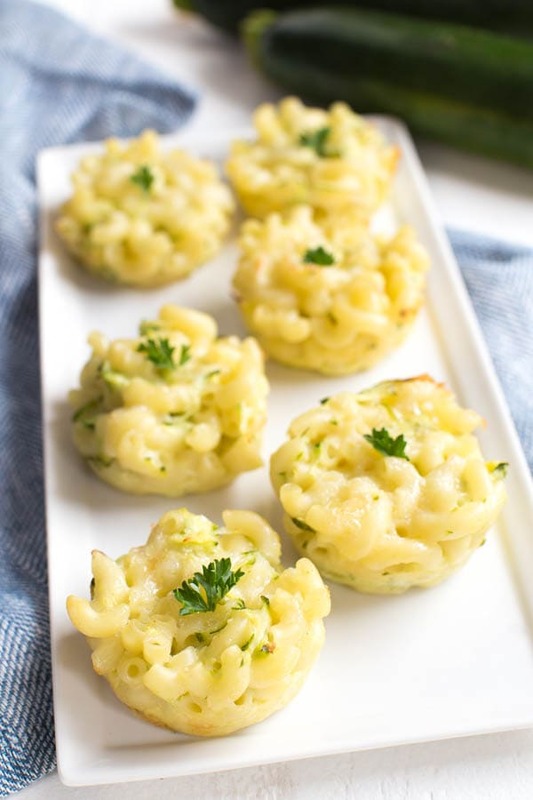 Zucchini mac and cheese bites are made with only seven ingredients and come together easily. 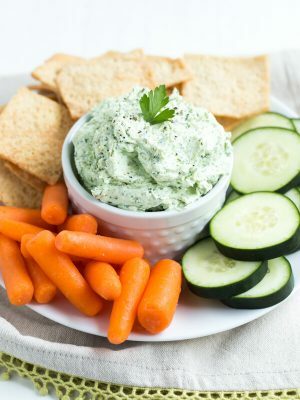 In addition to lunch and dinner, these bites are a good choice for birthday parties, appetizers and more. 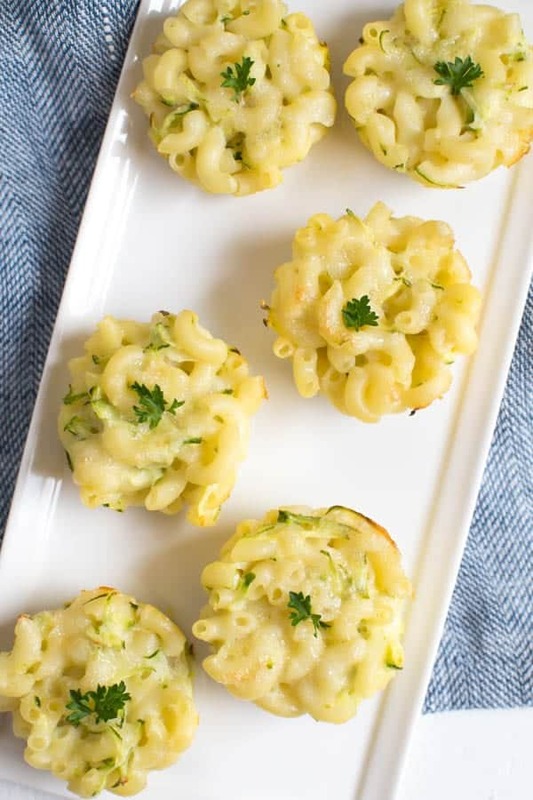 Combine fresh milk and a few other simple ingredients with zucchini to create little bites of cheesy goodness. 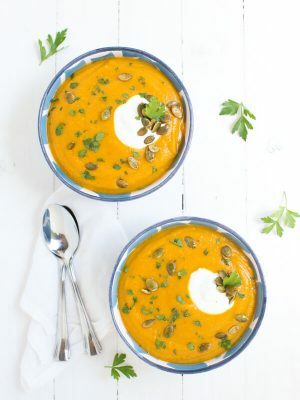 Bake them in the oven for 25 minutes, remove and enjoy. 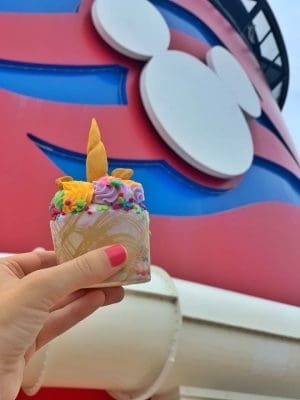 Best of all, you can make the bites in advance and enjoy throughout the week. 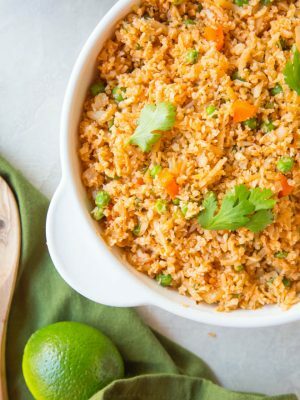 They reheat well and are great for lunch, dinner or snack. 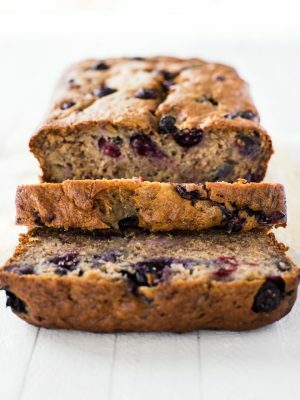 Preheat oven to 350 degrees F. Spray a muffin pan with nonstick cooking spray. Set aside. In a large pot, cook the macaroni according to package instructions. Drain and set aside. 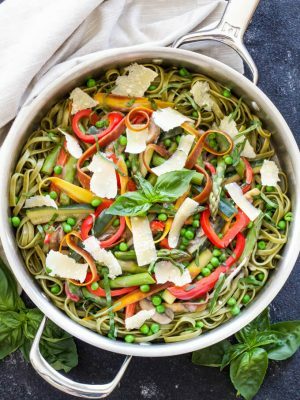 While the pasta is cooking, add the milk, 1 cup cheese, butter and garlic powder to a large saucepan set over medium-low heat. Cook, stirring occasionally, until the cheese is almost melted, about 2 to 3 minutes. Remove from heat. Add the cooked pasta to the pan with the sauce. Add the egg and zucchini and stir until completely combined. 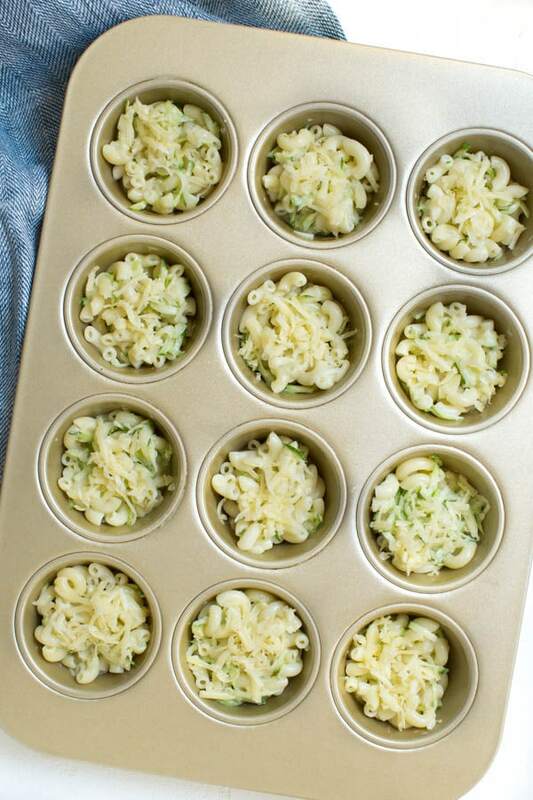 Spoon the macaroni and cheese into the prepared muffin pan. 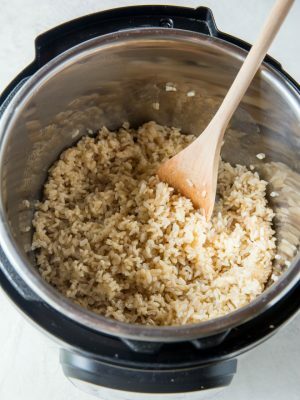 Top with the remaining 1/2 cup cheese and bake for 20 to 25 minutes, or until cheese is melted and bubbling. Remove from the oven and allow to cool for 5 to 10 minutes. Run a knife along the edges of each cup to loosen the mac and cheese bites. Enjoy! 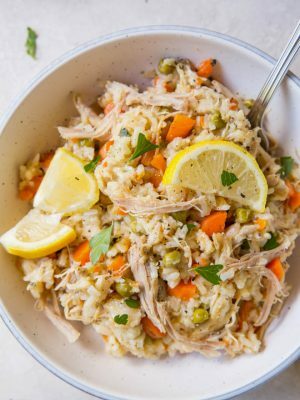 Store as leftovers in the refrigerator for up to 3 days. Reheat just prior to serving. I am so happy to have found A2 milk here in VA at our Whole Foods stores. 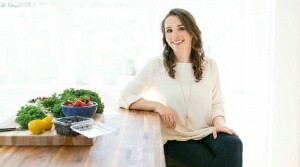 I just wish you would also make cheeses from it! Can you look into that?? ?Thanks!